This article will give you all the information in reference to the Red Cross CPR certification. CPR is the abbreviation for cardiopulmonary resuscitation. It is an emergency lifesaving technique which helps the victimized person restore his / her heartbeat and get back to normal breathing. 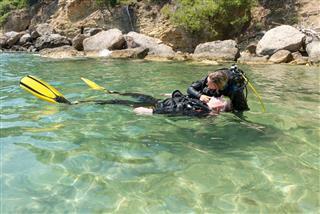 This is usually done in case of heart attacks, near-drowning or choking situations! Getting a Red Cross CPR certification would be mandatory for medical professionals such as emergency medical technicians, doctors, nurses, and those involved in paramedics. Other professionals like teachers, coaches, firefighters, caretakers and life guards should also be certified in CPR, as their profession demands it! The first query that comes in mind when it comes to doing any course, is the eligibility criteria. 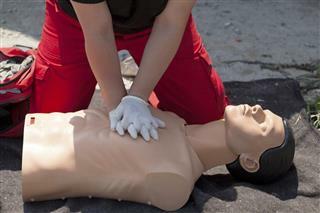 So, what qualifications should you have to enroll for a Red Cross certification for CPR? Almost anyone who is willing to learn the lifesaving technique of performing CPR, just in case an emergency comes up, can apply for it! The American Red Cross offers many certified courses under the training and guidance of a certified trainer. In order to get certified, you must attend the classes and training conducted at the local Red Cross center of your city. Also, all Red Cross first aid certification, CPR certification, and AED certification training holds a 2 year value! The CPR certification includes a detailed training on infant CPR steps, CPR steps for adults, and CPR steps for children. It teaches how to handle the situation under extreme emergencies. Proper training is given to the students when it comes to dealing with breathing and cardiac emergencies. 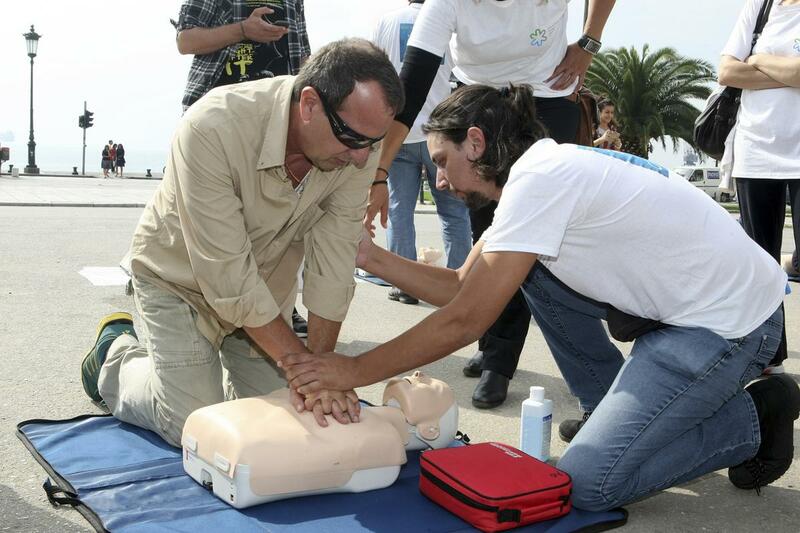 They are taught how to identify the need of the situation and implement effective CPR accordingly. The curriculum involving training for CPR steps for adults, includes interaction with officials who attend emergencies, like the EMS, followed by learning and practicing the steps involved in CPR like chest compression to restore the heartbeat, rescue breathing to restore normal breathing, and using AEDs to handle the emergencies related to cardiac arrests! The Red Cross CPR certification classes also include a detailed understanding of safety in terms of blood borne infections or pathogens. The adult CPR course duration is approximately 4 hours. 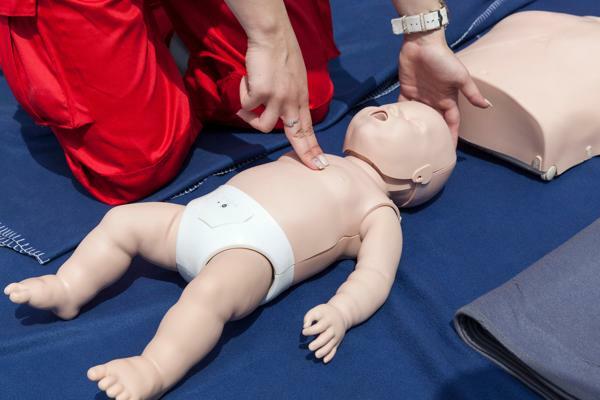 For students who want to certify in CPR on children and infants, the training includes all the areas of learning mentioned above, along with CPR on choking. This is so because the most common reasons for cardiac arrests in children, especially infants, is choking! For safety purposes, the curriculum also includes disease transmission protection. The duration of the course for both children and infants combined is approximately 5 hours. For someone who is looking to get certified in all the aforementioned areas, including, CPR steps for children, infants, and adults; the classes consist of audio, visual, written, as well as verbal training. The students have to go through a test after which they get an internationally (as well as nationally) recognized certification which is good for 2 years. As mentioned earlier, the certificate is valid for only 2 years. This means that you should apply for recertification in every two years to keep yourself updated and well equipped with the essentials of this technique. The human mind tends to forget, and if you are not practicing CPR on a regular basis, then there are chances that you would not be able to retain the knowledge which is needed for you to save someone's life using CPR. Which is why, it is advisable to keep the study material with you even after the course is over, and revise it at regular intervals. Speaking of recertification, in case your certification card has expired, you can apply for a review course with 12 months after the expiration date of the certificate. In case, it has been more than 12 months, then you will not be eligible for a review course, instead, you'll have to opt for a full course. Also, for a review course, you should possess your previous Red Cross certificate (or equivalent) with you. 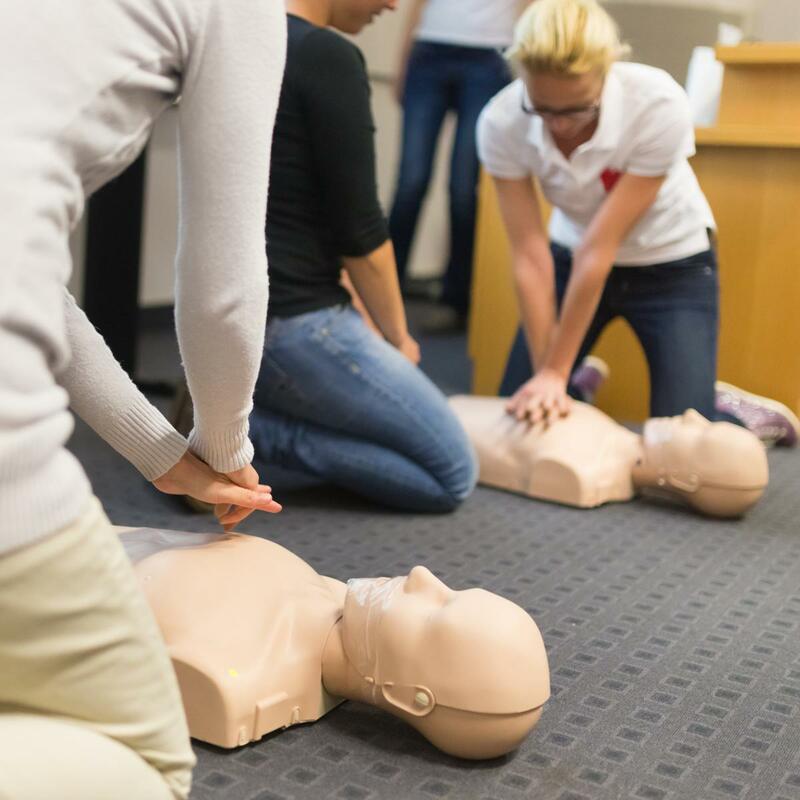 The Red Cross CPR certification follows the regulations set by the Occupational Safety and Health Administration (OSHA), as well as the National Safety Council regulations. The course is offered online as well, with free printable study material which can be downloaded from the Red Cross website. 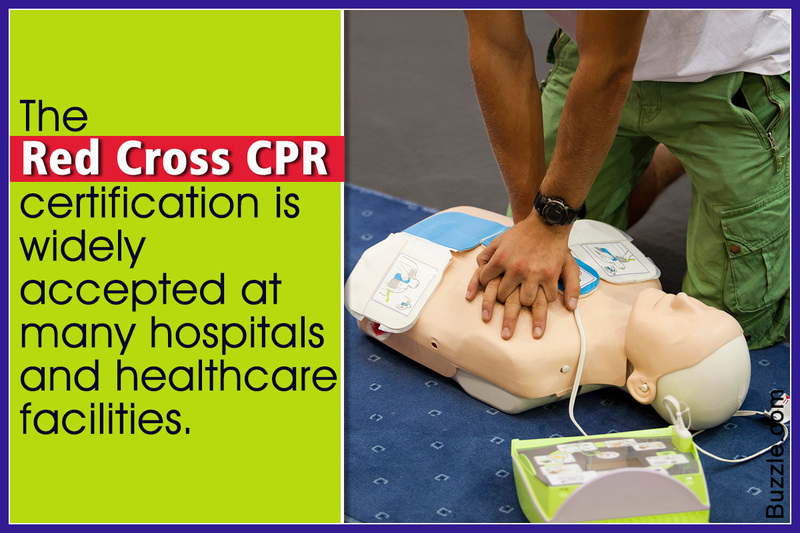 For more details on the Red Cross CPR certification online, you can visit their official website. You can also check with your local hospitals and clinics for the same. All the best!